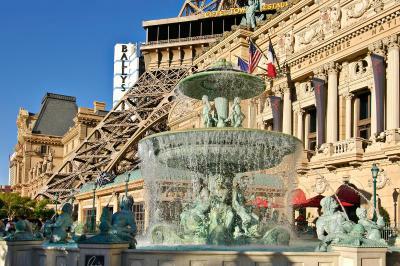 Lock in a great price for Paris Las Vegas Hotel & Casino – rated 8.1 by recent guests! 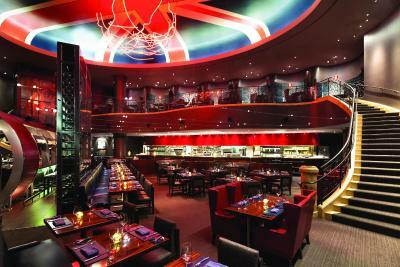 I liked the location and the hotel room as well as the restaurants. After the aggravating check in, it definitely improved. The room was gorgeous, facilities nice and really beautiful decor. very simple but more than enough coffee was excellent the pastries were great as well. orange juice was delicious as well. 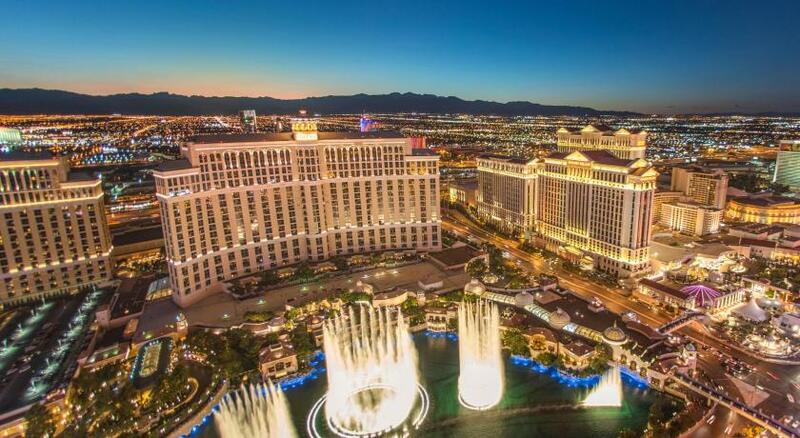 Location is good, you can see the bellagio water show and the view was very nice. 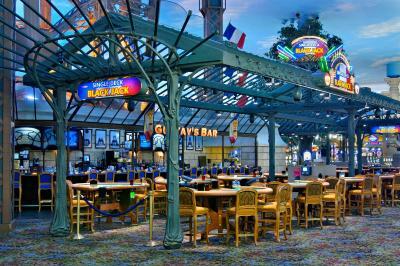 The fitness room was very good as well Casino was also very nice and we had lot of food options to choose from. I got a Vegas strip viewing room which was great. 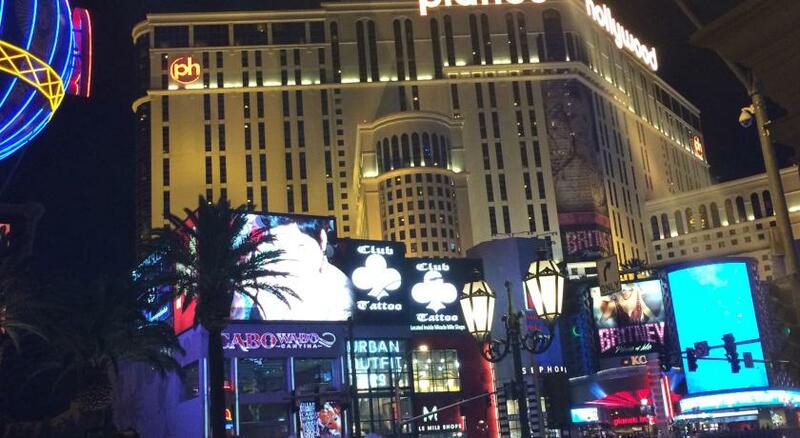 I enjoyed my stay here in the middle of Vegas strip with all activities around. 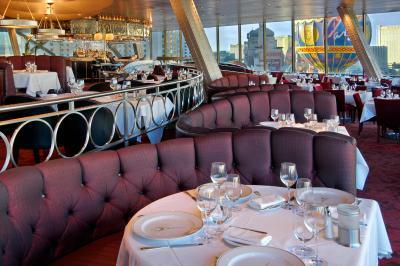 The price is very affordable comparable to nearby hotels and casinos. The room is clean and big. highly suggested. 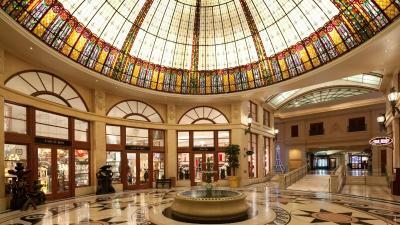 The location of the hotel ideally located for walking to local sights and attractions. 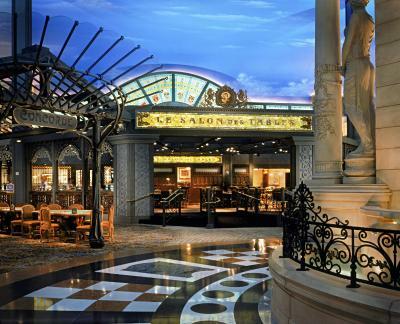 I especially enjoyed the casino and hotel food shops. I loved the value and cleanliness of the room. Great hotel. Would come again. Staff was very attentive and professional. Atmosphere was breathtaking. My second time at Paris hotel, Location and the property decorations are amazing! 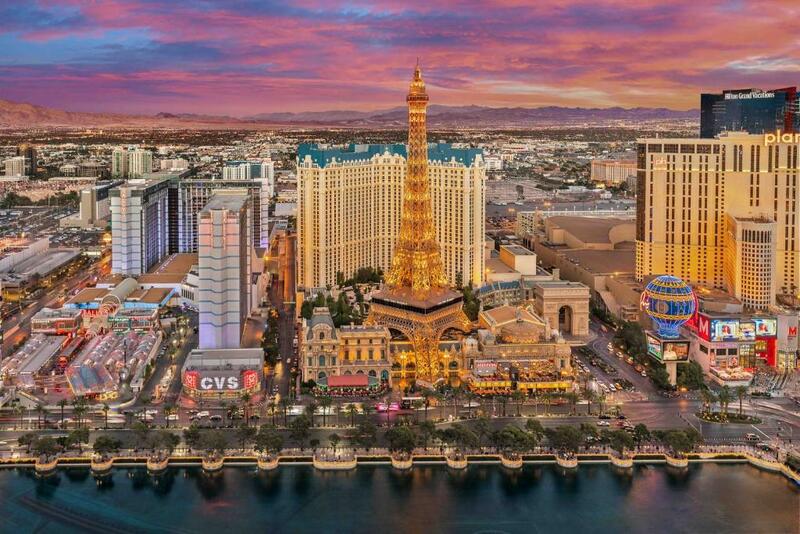 Paris Las Vegas Hotel & Casino This rating is a reflection of how the property compares to the industry standard when it comes to price, facilities and services available. It's based on a self-evaluation by the property. Use this rating to help choose your stay! 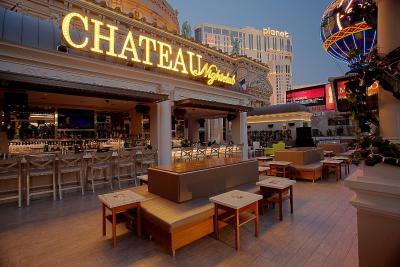 One of our best sellers in Las Vegas! 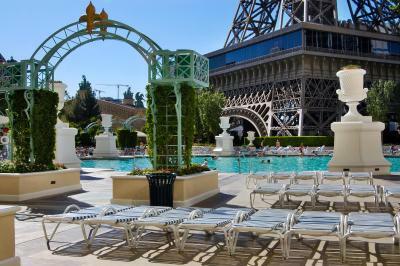 On the Las Vegas Strip, this hotel and casino features a rooftop pool, indoor mall and replicas of several Paris attractions including the Eiffel Tower. 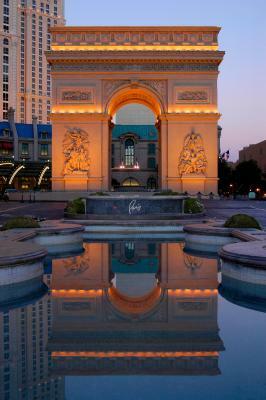 Paris Las Vegas rooms include French décor and a marble bathroom. The rooms also include pay-per-view movies and a safe. The hotel offers room service. 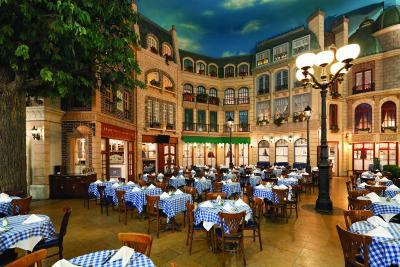 The Paris features 11 restaurants and 5 bars. 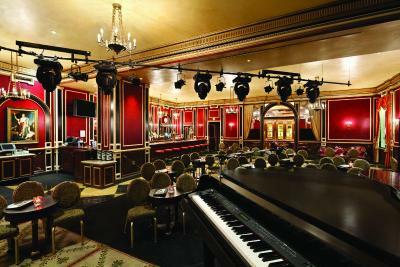 The Napoleon’s Dueling Piano Bar features a full-service bar and dueling piano players. 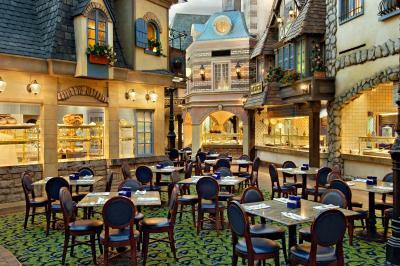 Guests can choose fine dining at The Eiffel Tower and casual dining at The Le Village Buffet. 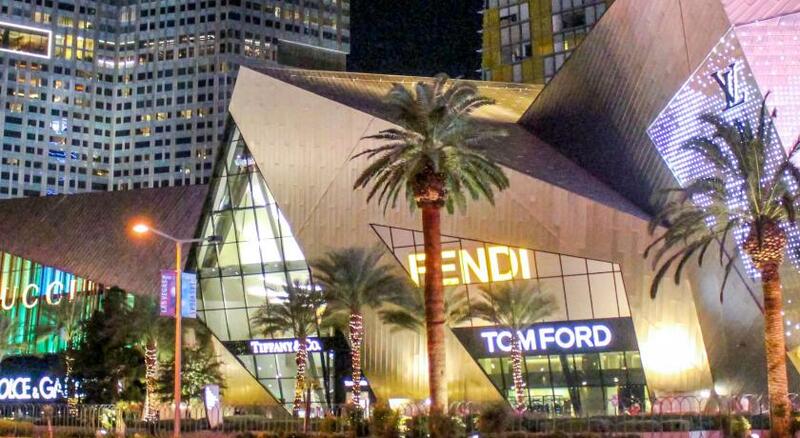 Las Vegas Strip is a great choice for travelers interested in shopping, city walks and nightlife. 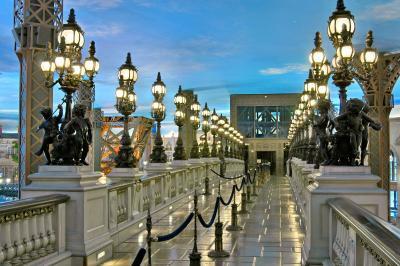 뀐 Located in the real heart of Las Vegas, this property has an excellent location score of 9.2! When would you like to stay at Paris Las Vegas Hotel & Casino? 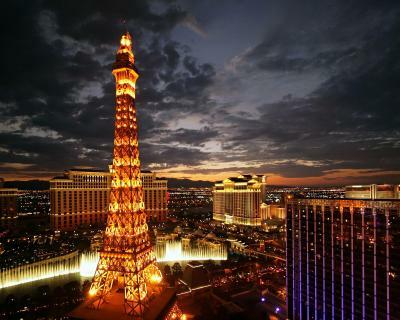 This room features views of Las Vegas's Eiffel Tower. 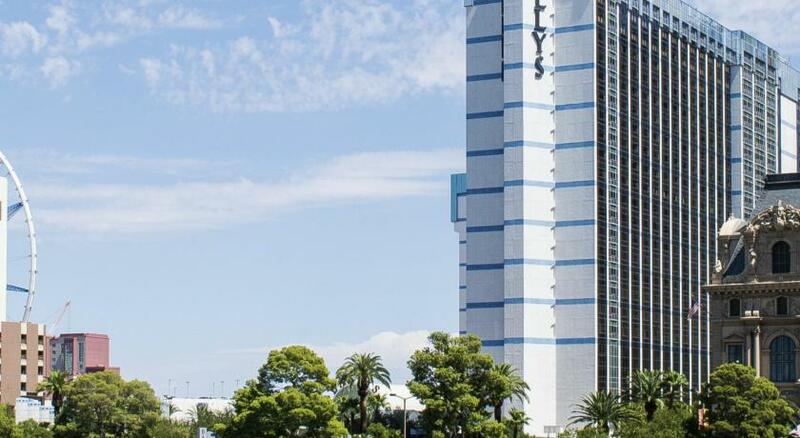 It includes a refrigerator, in-room safe, and flat-screen TV with on-demand movies. Wi-Fi is available for an extra charge. The private bathroom features a tub and stand-alone shower. Located at the end of the hallway, this room comes with a refrigerator, flat-screen TV, on-demand movies, and an in-room safe. The private bathroom features a bathtub and stand-alone shower. Wi-Fi is available for an extra fee. 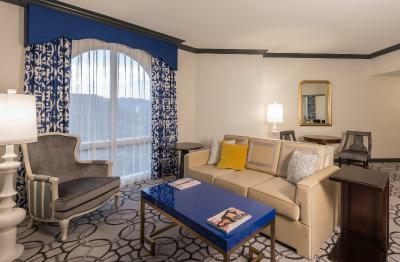 This suite features air conditioning, seating area and spa bath. 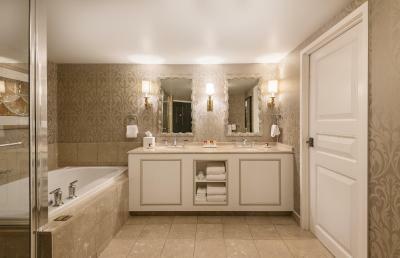 This air-conditioned suite features a spa bath, a flat-screen TV with pay-per-view channels and an iPod docking station. This suite has a flat-screen TV, iPod dock and air conditioning. 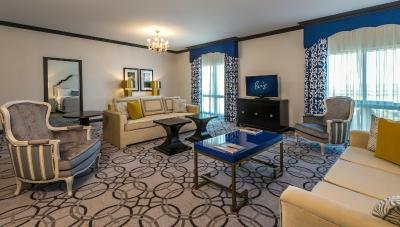 This room features a refrigerator, flat-screen TV, on-demand movies, wireless internet (for a fee) and an in-room safe. The marble bathroom features a stand-alone shower. 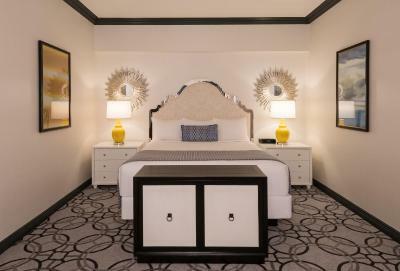 This room features a refrigerator, flat-screen TV, on-demand movies, wireless internet (for a fee) and an in-room safe. The marble bathroom features a bathtub with a tub transfer and a stand-alone shower. 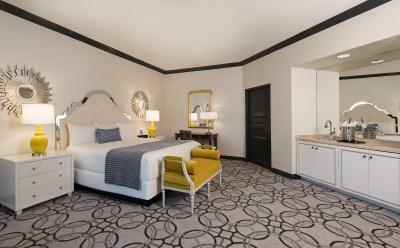 Guest rooms at Paris Las Vegas Hotel & Casino have a distinctly chic European look, with Versailles-style fixtures and romantic decor. 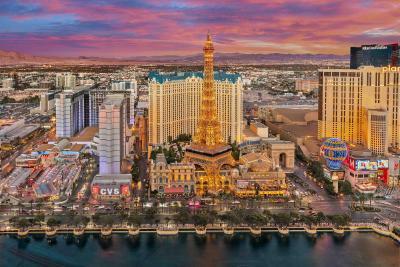 Area Info – This neighborhood is a great choice for travelers interested in shopping, city walks and nightlife – Check location Excellent location – show map Guests loved walking around the neighborhood! 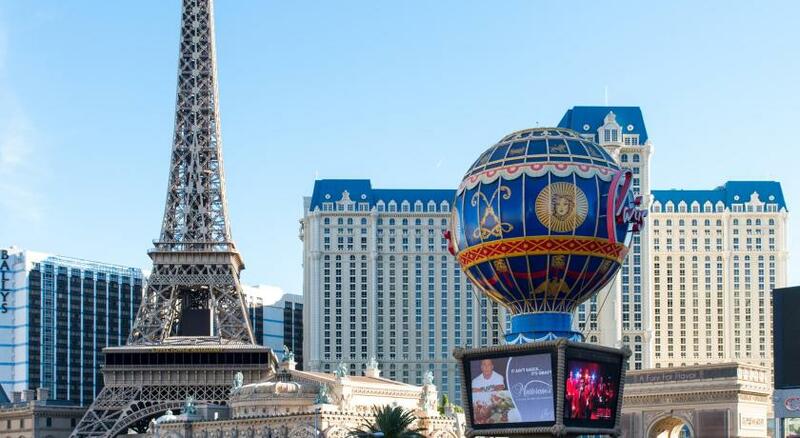 House Rules Paris Las Vegas Hotel & Casino takes special requests – add in the next step! 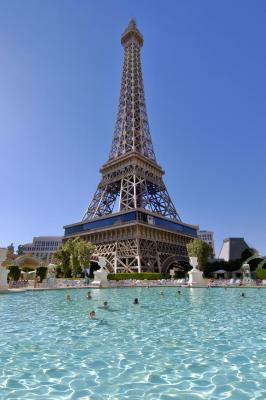 Paris Las Vegas Hotel &amp; Casino accepts these cards and reserves the right to temporarily hold an amount prior to arrival. 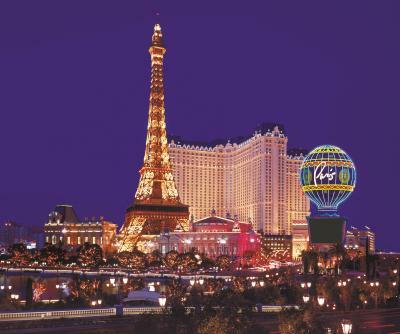 Paris Las Vegas Hotel & Casino accepts these cards and reserves the right to temporarily hold an amount prior to arrival. 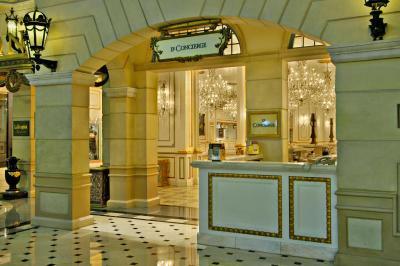 A limited selection of drinks and pastries are available for rooms that have the breakfast inclusion. 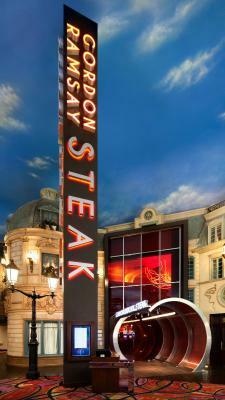 Anything additional will need to be purchased by guest. 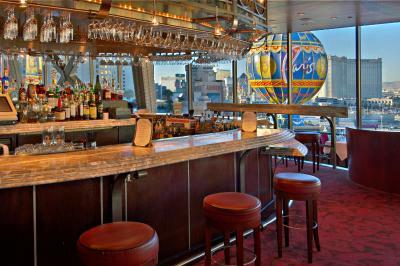 Breakfast-included rates have a 9 USD limit for two (2) guests per day. 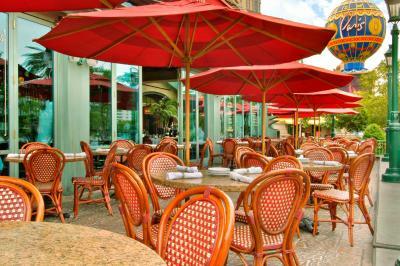 Breakfast credits are redeemable at Java Coast. 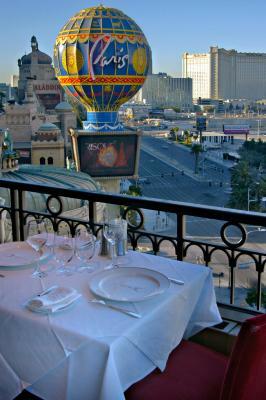 Please contact Paris Las Vegas directly for additional information regarding extra person charge for breakfast. The resort fee includes free use of the hotel's gym equipment for work out, 2 wireless devices, Internet service and free local calls. 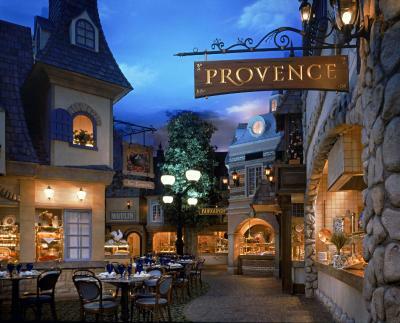 There is no buffet for breakfast its actually voucher can be used in one the restaurant. Amazing location and value of the money is great. 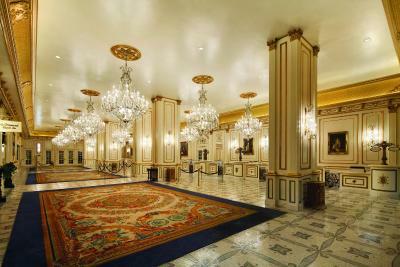 The rooms are very big. No coffee pot in the room, even though I requested it ahead of time. the recepcion is not nice.the room smoking.i ask no smoking .i going paid the diferent she said no more rooms.the beds is diry the 2 beds.one have food inside.the room smell cigarre my daughter have astma. 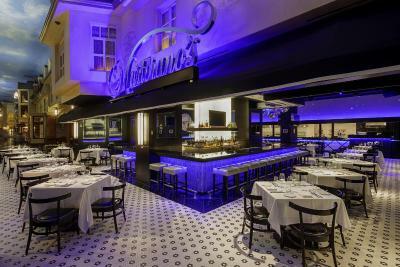 the people the worked is complaining no too many workeds.I going to the buffet I pay dinner I heart wint the said they need finish the food no change the line.no desert.no good food quality. i paid 143 dlrs.for 2 kids 3 adults.the service is bad.dont ask me sodas.i ask orange juice never bring the juice.the paris going down my experience the people is not happy working here.they dont smile.dont be nice .any they dont care the hotel and the customer.never come back to this hotel.just they are worried about for tips.but you need work to get a good tips. I didn't like the way the check in representative talked to me when I didn't understand the credit and debit on my bill. They have a lot of hidden charges, spa fees WiFi room charge ext... ended up paying double the price. Very nice and clean, modern, great location. The check in was pretty terrible. They have "quick check in" kiosks that didn't work for most people. Only 3 people at the desks to check people in with no sense of urgency. We were in line of only about 25 people for 45 minutes (no exaggeration). When asked, they said they have eliminated staff because of the kiosks and with a reluctant, "Sorry". Found hair on bathroom towel and a salad in refrigerator. Then the cleaning lady barged in while we were already checked in and in the room. We had a room over your night club. Zero sleep!!! Awful! Check in staff were not friendly but all other staff was great!